I hate our tap water as well, and buy lots of bottled water. 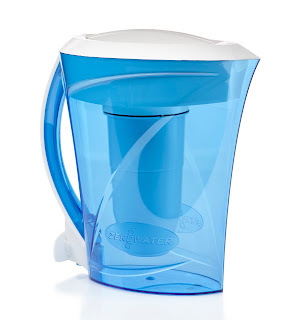 I will have to check out this pitcher as it looks nice and based on your review filters the water well, I will be heading to Guatemala soon and need a pitcher for my mother in law, and this one looks like it might benefit her as well. I used to have one of these.I couldnt afford the filters.I use it for tea now.Id like to have another one though. I would like to have one of these units. I like the meter at the top, givves assurance the water is safe. I'd love to try this and see if I can tell a difference in the taste.